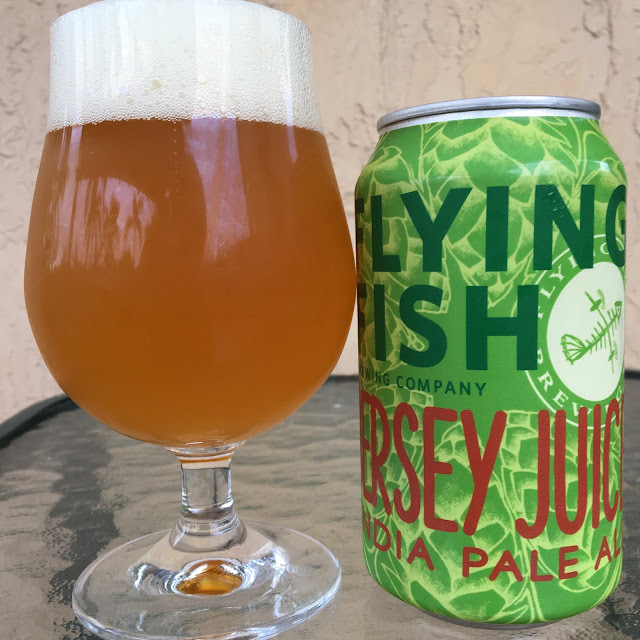 Flying Fish Jersey Juice IPA recently hit my local Miami liquor stores. The story on the back of the can talks of using cryogenic hop lupulin concentrate to create a hoppy character twice as intense. 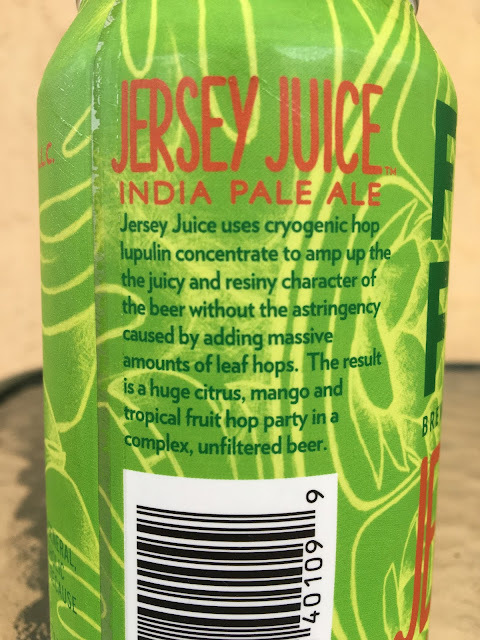 The story further sets your expectations for huge citrus, mango and tropical fruity flavors... um, why is this "Jersey Juice" then? Perhaps just because of where it's brewed? I'm pretty sure Jersey is known for apples, blueberries, cranberries and peaches. Using or having hops that mimicked those flavors would really make this Jersey Juice. Anyway, the can does invite you to the tasting room, so maybe I'll discuss my suggestions in person! 6% alcohol. 33 IBU. Bright tangerines, light piney aroma. Super rich hoppy flavors, intense. Lots of citrus, hints of tropical mango and tangerine. A little spicy, resinous pine builds with each sip. Dank but different. I liked it! Check it out!